And suddenly, I was speechless. Kolchak Puggle, a blogger dog, wrote the most touching post about my work. I felt the tears streaming down my face, as I read some of the most incredible words ever written about me. With each sentence, my heart filled with more joy and gratitude. I honestly had no words… only an immense appreciation and sense of amazement that anyone would do something so kind for me. In addition to the inspiring post, Kolchak also asked everyone to vote for Lucky Dog Rescue in the Care2.com America’s Favorite Shelter Contest. 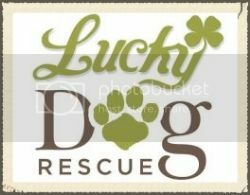 The grand prize is $15,000 for the winning rescue/shelter, and Lucky Dog Rescue is currently in 1st Place. However, the contest doesn’t end until July 10th, and there are many amazing groups competing. This prize money would do more for my rescue dogs than you could ever know, and it would help me save so many more lives. 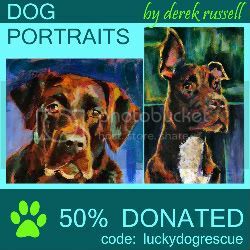 Lucky Dog Rescue is a very small, under-funded rescue group. I do all of my rescue work myself, out of my own pocket. I’m lucky enough to have a couple of amazing volunteers, and a few generous donors, but help and funds are so limited here. So, I’d like to ask you to PLEASE CLICK HERE TO VOTE FOR LUCKY DOG RESCUE in Care2’s America’s Favorite Shelter Contest, and please ask all of your friends to do the same! Don’t forget to confirm your vote in your email! Also, because I could never accurately describe the amazingness of Kol’s blog, I’m asking all of you to PLEASE READ the touching blog post about Lucky Dog Rescue by Kol’s Notes: You Lucky Dog, By: Kolchak Puggle. 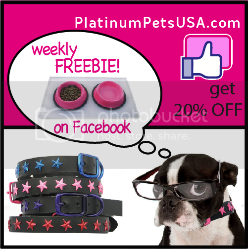 Thank you, Kolchak Puggle and Mama Jodi, for touching my heart and making my dream of inspiring others come true. I’ll never forget what you did for me, for as long as I live. you so deserve every word Kolchak Puggle wrote. I'm only sorry I can only vote once. Thank you for all you do. Koli, Felix and Jodi are amazing friends. When Foley had some strange white substances in her feces I sent Jodi pictures of the feces and she helped us determine that it was something she ingested (an ear plug.) Anyone who will take a look at feces pictures is a true friend. Kol's notes is one of my favorite blogs, funny, informative, heart felt. Anyone following your blog should follow hers. And don't be modest, everything she wrote was true. I have known her for more than two years and she does not lie.